Quiet centrifugal motor The kitchen is not only a working space, it's also a social hub. This motor allows you to maintain conversations at the same time that the hood is running so your kitchen enjoys clear air while you're entertaining. Touch on glass controls With its position above the cooking area of your kitchen the rangehood has been designed for easy cleaning, the controller is a touch on glass panel for a quick wipe clean maintenance. Dimmable Low Energy LED Light Bar Adjustable lighting levels on this rangehood offers high levels for maximum illumination when required and a lower level for ambient lighting when cooking is complete. H1000 Motor High performance extraction 1000cmh of extraction means the rangehood ensures unwanted vapour and steam can be removed quickly and efficiently. 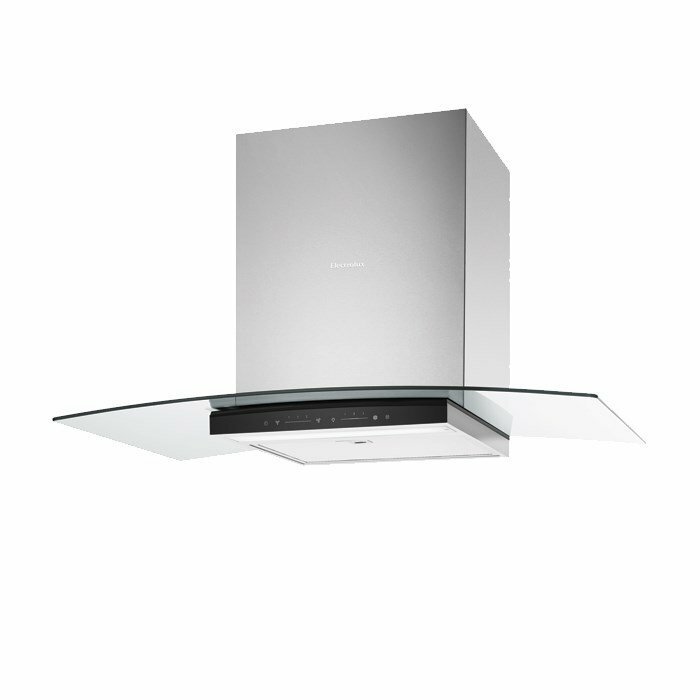 The Electrolux ERC928GA Kitchen Hoods was added to the Kitchen Hoods category in June 2016. The lowest price GetPrice has found for the Electrolux ERC928GA Kitchen Hoods in Australia is $779.00 from Billy Guyatts.